What Makes a Really Smart Group? van Vugt, M., & Grabo, A. (2015). The many faces of leadership: An evolutionary psychology approach. Current Directions in Psychological Science, 24, 484–489. Who’s the boss? Bruce Springsteen and Tony Danza aside, it isn’t always clear who the boss is and who the boss’s underlings are. But according to Mark van Vugt and Allen Grabo (2015), we have evolved a sharp eye to detect facial features that make some people better leaders than others. Van Vugt and Grabo’s evolutionary-contingency hypothesis posits that people judge leaders by how well they coordinate the needs of followers with current situational demands. Certain facial features predict prior success in navigating these challenges. These features include clues to dominance, trustworthiness, competence, and attractiveness. Different situations call for different types of leaders. For example, people prefer young leaders when an organization or industry demands change, whereas people favor older leaders when the goal is stability (Spisak, Dekker, Krüger, & van Vugt, 2014). As a result, people judge leaders, in part, based on facial features known to predict success in solving specific problems. To bring this cutting-edge research into the classroom, instructors can complete three short activities. The activities make use of ingenious computer-generated faces constructed by APS Fellow Alexander Todorov and colleagues (Todorov, Dotsch, Porter, Oosterhof, & Falvello, 2013; Todorov & Oosterhof, 2011). To generate the faces, Todorov and colleagues used FaceGen 3.1 software. Imagine that your country has come under attack and declares war. The leader of your country was killed in the initial assault and the nation needs a new leader. The situation is dire. If your country loses the war, it will become part of another country. Four candidates emerge as favorites. Most people don’t have time to study each candidate. When people vote, they rely on their gut. Of the candidates displayed below, whom would you select? Why? Now, fast forward 15 years: Your country won the war. Your president’s main job is to maintain peace. No one wants another war. Whom would you select to replace the wartime leader? Why? Discussion can center on the reasons students chose each candidate. How did the candidates look similar? How did the candidates look different? How did the government leader’s prime mission — wage war versus keep the peace — shift the students’ preferences? Instructors should remind students that people prefer dominant leaders during times of war and trustworthy leaders during times of peace (Little, Burriss, Jones, & Roberts, 2007; Spisak, Dekker, Krüger, & van Vugt, 2012). Companies need effective leaders. But who should lead and who should follow? Imagine that you’re starting a company. It seeks to create a new technology that integrates the best aspects of search, social networking, and personal productivity. Your company decides that the initial Corporate Executive Officer (CEO) was not a good fit for the mission, vision, and values of the company. You need a new CEO. You narrow your list to four candidates. As you enter the board room to begin the individual interviews, you see the candidates waiting. They look up. You meet each candidate face-to-face. If you had to make your selection before the interview, which of the following candidates would you choose? Why? Encourage your students to discuss how facial features might bias hiring decisions. When might such a bias benefit a company? When might it hurt a company? Also, let the students know that a pretest sample rated the group of faces according to their perceived competence (from -3, less competent, to +3, more competent). The ratings are: Face A: -3; Face B: +3; Face C: -1; Face D: -1. University presidents have complicated jobs. As the faces of institutions, they wield power and influence. But they also answer to many people. Campus turmoil requires swift action, which can inspire approval or spark protest. Imagine that your university or college is hiring a new president. The past year was plagued with student unrest. Many students accused the former president of ineffectively handling racial tensions on campus. Other students felt that many discussion-based seminars were no longer “safe places” because their views constantly came under questioning and provoked uncomfortable debate. The former president called the students’ request for a campus-wide policy against discussion-based classes a “ridiculous idea of college education.” The new president will offer a fresh perspective on what it means to promote cooperation and avoid conflict. The list has been winnowed down to four candidates. If you had to select one of the following candidates, which would you choose? Why? Ask students to discuss how the faces differ and how those differences influence their decision. Van Vugt and Grabo’s (2015) evolutionary-contingency hypothesis argues that people prefer leaders who have trustworthy faces “in settings requiring peace and harmony.” A pretest sample rated the group of faces according to their perceived trustworthiness (from -3, less trustworthy, to +3, more trustworthy). The ratings were: Face A: -1; Face B: -2; Face C: -3; Face D: +3. Humans use different strategies to establish a pecking order. We dominate conversations, develop innovative solutions, or simply outwork our competitors. It is easy to forget that people judge leaders not only on situational demands but also on the visual signposts we display that give others clues about whether we’re up for the challenge — our faces. In rare cases, an adaptive face may raise the stock of a schlub. The rest of the time, the face is one of many ingredients that help people select leaders who can best serve their followers. Woolley, A., Aggarwal, I., & Malone, T. (2015). Collective intelligence and group performance. Current Directions in Psychological Science, 24, 420–424. A selective reading of social psychology might suggest that groups are very, very bad. In groups, we become more aroused, more error prone on complex tasks, more likely to loaf, more polarized, and more deindividuated. Police brutality, gang violence, lynchings, and terrorism are group phenomena. And groups may suppress dissent, producing a homogenized and stupid groupthink. But then again, as social animals, we prosper in groups. We find support, sustenance, and security. We excel — we run faster, laugh louder, and become more generous. Kindred-spirited groups can strengthen our resolve to lose weight, drink less, cope with grief, or become more spiritual. So though groups sometimes bring out the worst human behavior, there is also wisdom in the interacting group (and ditto in large crowds, as shown by the effectiveness of election-prediction markets and Google searches). Their findings: Just as some individuals display more “general intelligence” (g) than others across tasks, so some groups display greater “collective intelligence” (c) than others. When devoting several hours to a variety of tasks — creative brainstorming, solving verbal and math puzzles, playing checkers against a computer, and doing moral reasoning — about 40% of the performance variation among groups is attributable to c (much as about the same variation among individuals is attributable to g). Moreover, the c factor appears among college and MBA students, across cultures, and even in online groups. Collective intelligence reflects both the “bottom-up” skills that individuals bring to their groups and the “top-down” group processes that enable effective collaboration. A better predictor of c is a form of social intelligence — social perceptiveness, as measured by the “Reading the Mind in the Eyes” test, which assesses people’s ability to read others’ emotions. The proportion of female group members also predicts c, seemingly because women score higher on social perceptiveness. Diversity of thinking styles and perspectives also helps when groups perform a variety of tasks — especially when differences are not extreme enough to impair communication. Group processes. Collectively intelligent groups communicate more and participate more equally than do other groups, report Woolley and colleagues. A group in which one or two people dominate typically displays little collective intelligence. People “are never so likely to settle a question rightly as when they discuss it freely,” observed Thomas Macaulay (1830). So, could changes in group structure and leadership enhance collective intelligence? Could forcing equal participation — say, by instituting turn-taking — help? Might electronic tools for facilitating diverse input also be of benefit — as they are in promoting productive group brainstorming (Brown & Paulus, 2002)? Such questions await further research. After observing the conformity pressures, self-censorship, and “mindguarding” that fueled groupthink, Irving Janis (1972, 1982) had some additional ideas. Leaders, he advised, should be impartial, encourage critical evaluation (even by being devil’s advocates), and occasionally subdivide the group before having them reunite to air differences. Before explaining some of the influences on collective intelligence, instructors might invite students to form groups of three to five to collectively propose possible explanations. Do they identify both bottom-up, individual possibilities (e.g., smarter or more socially perceptive group members) and top-down, group-process possibilities (e.g., better communication or more equal participation)? This group activity is itself a group problem-solving exercise. Thus, if one or two groups offer an especially apt set of ideas, they might be invited to reflect on what made their group effective. Did their group embody a diversity of people and perspectives? Sensitivity in drawing out, reading, and responding to one another? Equal participation? To illustrate group problem solving and collective intelligence, instructors also could give groups a reasoning problem. Woolley suggests the classic “NASA Exercise” — which has individuals, then groups, rank items needed for survival on the moon. She has kindly made this handout, with instructions for scoring groups (vis-à-vis expert judgments), available here. Group members can take the test as individuals and as a collective, then assess their group performance (did it surpass the score of their average individual?) and compare it with that of other groups. They also can discuss their collective intelligence. To make this activity nonthreatening, remind students that group performance typically says little about the intelligence of individual group members. Finally, remind them that, while group influences may corrupt us, there is often wisdom in groups — especially in collectively intelligent groups that harness and combine the creative intelligence of all group members. Pennycook, G., Fugelsang, J., & Koehler, D. (2015). Everyday consequences of analytic thinking. Current Directions in Psychological Science, 24, 425–432. Is careful thinking overrated? Should we invest the time and effort to engage in systematic and controlled deliberation when making decisions and solving problems, or are we better off relying on our intuitive gut feelings? Students may be surprised to learn that there are tasks for which reliance on quick, reflexive decisions offers a significant advantage over slower, careful analysis. For example, when making personal decisions such as selecting a poster to hang in a room or choosing a jelly bean flavor, people tend to be most satisfied with their choices and are less likely to change their minds when they make their decisions quickly, without systematically analyzing their options or mulling over the reasons for their choices (Levine, Halberstadt, & Goldstone, 1996; Nordgren & Dijksterhuis, 2009). Similarly, when predicting the winner of a sporting event, people are more likely to pick a winner if they focus on predicting who will win or lose instead of trying to predict the precise score (Yoon, Suk, Goo, Lee, & Lee, 2013). Skilled athletes perform reflexively and without conscious analysis; in fact, forcing athletes to carefully consider their actions can result in a missed putt or a botched free throw (Beilock & Carr, 2001). Even in the case of some types of very complex decisions, abandoning detailed analysis can yield improved outcomes (Strick, Dijksterhuis, & van Baaren, 2010). Across a variety of settings, intuition is often fast, efficient, and effective. A bat and ball cost $1.10 in total. The bat costs $1.00 more than the ball. How much does the ball cost? For the bat and ball problem, people often reflexively but erroneously report that the ball costs 10 cents (the correct answer is 5 cents, as $1.05 + $0.05 = $1.10). For the lily pad problem, many people are similarly quick to mistakenly report that the lake will be half covered in 24 days (the correct answer is 47 days, as the patch will cover half the lake the day before it covers the whole lake if the patch doubles in size each day). These kinds of questions require people to question and reject their intuitive response and perform the effortful, deliberate computation necessary to obtain the correct answer. Although this type of analysis takes more time and effort, Gordon Pennycook, Jonathan A. Fugelsang, and APS Fellow Derek J. Koehler (2015) demonstrate that it pays off in more ways than one. Analytic thought facilitates success in solving specific problems, and an analytic approach also has broader consequences for the way we view the world and interact with it. Researchers have examined these consequences by exploring both individual differences in analytic thinking style and experimental manipulations that elicit a more critical thinking mode for all individuals. Both types of studies yield similar results: Reflective thought impacts our beliefs and behaviors. a tendency to be calculating — analytic thinkers often behave selfishly when the costs of altruistic behaviors are high (Corgnet, Espin, & Herman-Gonzalez, 2015). The ability to reflect on and override our intuitions clearly influences our everyday beliefs and interactions. As students reflect on other beliefs and actions that might be influenced by analytic thought, have them consider the consequences of analytic thinking in applied settings like the workplace, school systems, health care organizations, and political arenas. Given the significance of analytic thought for worldviews and behaviors, it also is important for students to consider the factors that underlie reflective processing. 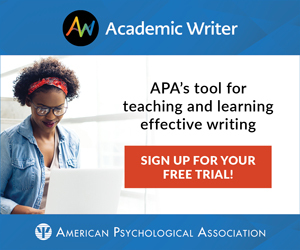 There are individual differences in analytic styles, and students can get a sense of their tendency toward analytic thinking by completing the Need for Cognition Scale available here (high scores indicate a stronger tendency for reflective thought). Pennycook and colleagues note that cognitive ability (e.g., working memory capacity) may be a mediator for analytic thought, so you may use this as an opportunity to discuss genetic versus environmental influences on thinking style. As students consider environmental factors, you can point out that evidence indicates that reflective thinking can in fact be temporarily induced by manipulations that encourage analysis or pose a difficult challenge. For example, asking people to reflect on and write about a situation in which careful reasoning led them in the right direction can induce analytic thought, as can giving people short word puzzles that require reasoning and analysis, or even simply asking them to take the perspective of a researcher. Are there ways to capitalize on this effect to improve outcomes in health care, education, and public safety? How might these findings be used in marketing, public policy, and legal arenas? Barr, N., Pennycook, G., Stolz, J. A., & Fugelsang, J. A. (2015a). Reasoned connections: A dual-process perspective on creative thought. Thinking and Reasoning, 21, 61–75. Barr, N., Pennycook, G., Stolz, J. A., & Fugelsang, J. A. (2015b). The brain in your pocket: Evidence that smartphones are used to supplant thinking. Computers in Human Behavior, 48, 473–480. Beilock, S. L., & Carr, T. H. (2001). On the fragility of skilled performance: What governs choking under pressure? Journal of Experimental Psychology: General, 130, 701–725. Brown, V. R., & Paulus, P. B. (2002). Making group brainstorming more effective: Recommendations from an associative memory perspective. Current Directions in Psychological Science, 11, 208–212. Cacioppo, J. T. (2007, October). The rise in collaborative science. Observer, 20(9), 52–53. Corgnet, B., Espin, A. M., & Herman-Gonzalez, R. (2015). The cognitive basis of social behavior: Cognitive reflection overrides antisocial but not always prosocial motives. ESI Chapman Working Papers, 1, 1–47. Frederick, S. (2005). Cognitive reflection and decision making. The Journal of Economic Perspectives, 19, 25–42. Janis, I. L. (1972). Victims of groupthink. New York, NY: Houghton Mifflin. Janis, I. L. (1982). Counteracting the adverse effects of concurrence-seeking in policy-planning groups: Theory and research perspectives. In H. Brandstatter, J. H. Davis, & G. Stocker-Kreichgauer (Eds. ), Group decision making (pp. 477–502). New York, NY: Academic Press. Kahneman, D. (2013). The inside story behind a Nobel Prize: Two minds are better than one. In D. G. Myers, Social Psychology, 12th Edition (p. 246). New York, NY: McGraw-Hill. Laughlin, P. R. (2011). Group problem solving. Princeton, NJ: Princeton University Press. Levine, G. M., Halberstadt, J. B., Goldstone, R. L. (1996). Reasoning and the weighting of attributes in attitude judgment. Journal of Personality and Social Psychology, 70, 230–240. Little, A. C., Burriss, R. P., Jones, B. C., & Roberts, S. C. (2007). Facial appearance affects voting decisions. Evolution and Human Behavior, 28, 18–27. Macaulay, T. B. (1830). Southey’s colloquies on society. Reprinted in Literary Essays Contributed to the Edinburgh Review. London: Oxford University Press, 1913. Mellers, B., Ungar, L., Baron, J., Ramos, J., Gurcay, B., Fincher, K., … Tetlock, P. E. (2014). Psychological strategies for winning a geopolitical forecasting tournament. Psychological Science, 25, 1106–1115. Shtulman, A., & McCallum, K. (2014). Cognitive reflection predicts science understanding. Proceedings of the 36th Annual Conference of the Cognitive Science Society, 2937–2942. Spisak, B. R., Dekker, P. H., Krüger, M., & van Vugt, M. (2012). Warriors and peacekeepers: Testing a biosocial implicit leadership hypothesis of intergroup relations using masculine and feminine faces. PLOS One, 7, e30399. Spisak, B. R., Grabo, A., Arvey, R., & van Vugt, M. (2014). The age of exploration and exploitation: Younger looking leaders endorsed for change and older looking leaders endorsed for stability. Leadership Quarterly, 25, 805–816. Strick, M., Dijksterhuis, A., & van Baaren, R. B. (2010). Unconscious-thought effects take place off-line, not on-line. Psychological Science, 21, 484–488. Swami, V., Voracek, M., Stieger, S., Tran, U. S., & Furnham, A. (2014). Analytic thinking reduces belief in conspiracy theories. Cognition, 133, 572–585. Todorov, A., Dotsch, R., Porter, J., Ooserthof, N. N., & Falvello, V. (2013). Validation of data-driven computational models of social perception of faces. Emotion, 13, 724–738. Todorov, A., & Oosterhof, N. N. (2011). Modeling social perception of faces. Signal Processing Magazine, IEEE, 28, 117–122. Yoon, S. O., Suk, K., Goo, J. K., Lee, J., & Lee, S. M. (2013). The devil is in the specificity: The negative effect of prediction specificity on prediction accuracy. Psychological Science, 24, 1164–1170.